Even when he was fronting the Walker Brothers during their fabulous heyday, Scott Walker seemed a man apart. A true iconoclast who hasn’t actively gone in search fame, Walker is a fascinating and charismatic figure nonetheless. We have the musical proof and will recommend that you start your appreciation ASAP, or boost your collection with a tantalising variety of Walker’s work in a career that spans the most gorgeous meta-pop to the outer fringes of the avant garde and back. Scott’s output isn’t slight but it is selective. He has never really turned out albums for the sake of it but prefers to record when the mood is right and he has something new to offer. Unorthodox is a word often used to describer Scott Walker but his sense of innovation also makes him a legend who keeps fresh by working with the likes of Pulp, Bat for Lashes and the kindred German spirit Ute Lemper. If he started out ploughing a baroque path down the middle of the road, even flirting with light entertainment on TV, Walker still made a success of himself. His chart entries are legion, for albums and singles, with and without the Walker boys, Consider his influence: David Bowie, Billy Mackenzie, Leonard Cohen, Radiohead, the Divine Comedy and Goldfrapp are avid fans while Julian Cope compiled a terrific compilation called Fire Escape in the Sky: The Godlike Genius of Scott Walker in 1981 and that charted high on the independent list. Not so much a man for the public gaze and the endless round of awards and interviews, Walker isn’t a recluse, he’s just in charge of his privacy. He gives out though his albums. Treats lie in wait. Noel Scott Engel, as he was christened in 1943, was born in Hamilton, Ohio but has been living in England since the early sixties. He recorded briefly under his own name as a teenager way back in the 1950s, but his career took off when he formed The Walker Brothers with John Walker (aka John Maus) and Gary Leeds – essentially an exiled American trio who achieved far more fame in the UK than in their native land and would tour Britain and Europe extensively throughout the swinging sixties with the likes of Jimi Hendrix And Cat Stevens. 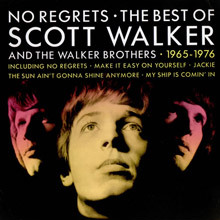 At this point the best thing to do is seek out the immaculate compilation called No Regrets - The Best of Scott Walker and The Walker Brothers 1965-1976, a set that constitutes 27 tracks of pure pop joy. Including the Tom Rush title track (the Walkers version is considered seminal) as well as startling takes on the wall of sound epic “Walking in the Rain” and the huge production ballads “Make it Easy on Yourself” (by Bacharach and David) and “The Sun Ain’t Gonna Shine Anymore” (Crewe and Gaudio) this is more than a best of since it comes up to date with their interpretation of Boz Scaggs’ blue eyed soul classic “We’re All Alone” and cunningly includes some Scott solo fare like “Montague Terrace (In Blue)”, Jacques Brel’s “Jackie” – Scott’s signature tune for many years – and the intriguing “Boy Child”. This is a magnificent primer that you’ll never grow tired of listening to. 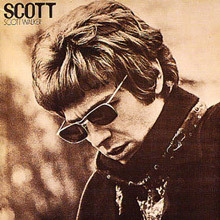 Just as the Walker Brothers were peaking the emergent singer-songwriter with the distinctive baritone upped sticks and made his debut disc, Scott (1967). Effectively putting a lid on standard beat material walker’s solo album was a pointer to the future. Mixing startling originals like “Always Coming Back to You” with carefully chosen cover material – Tim Hardin’s “The Lady Came from Baltimore” and the Jacques Brel/Mort Shuman melodrama “Amsterdam” Walker invented a new style for the times, a collision between pop, cabaret and esoteric European club music. The album charted at 3 in the UK and is widely regarded as a classic. 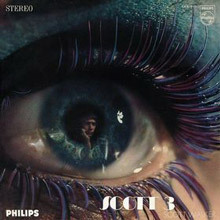 Scott 2 (1968 sold even better with its combination of risqué Brel show stoppers and Hardin’s “Black Sheep Boy” improving on the formula just as the man’s own “Plastic Palace People” and “The Bridge” upped his own ante. With high-class arrangements and a rarefied atmosphere in abundance walker’s roll continues on Scott 3 (1969) where Wally Stott’s orchestrations evoke an air of warped Las Vegas meets surreal outer limits pop during “Big Louise” and the glorious “It’s Raining Today”. Long a fan favourite this album will grace any contemporary collection. We are loving it. 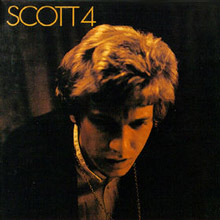 Following a successful UK TV series – called Scott, of course – Walker returns to the fold with Scott 4 (see the logic and brevity in his approach) and this is an album so monumental that it’s frequently cited by Bowie and Radiohead as one of the most essential discs ever created. Recorded at Olympic in London in 1969, Scott 4 teams the artist with producer John Franz who he knew from Brothers days and through watching him work wonders with Dusty Springfield. Now we’re moving into more uncharted territory as Noel Scott Engel (he released it under his real name at first) writes everything for the first time and offers extraordinary songs like “The Seventh Seal” and “Angels of Ashes.” Folk, country and soul strains appear and the productions manage to modulate from the vast to the intimate. Amazingly at the time Scott 4 bamboozled the fan base and was pretty swiftly deleted but it’s now available in all its pristine glory. Entering the 1970s, Scott gives us ‘Til the Band Comes In, another album unlike anything around then or now. Returning to his favourite cover version artists while keeping his eye in on stand out self-compositions like “Jean the Machine” and “The War is Over (Sleepers)”. A cult item in its time this is followed by a slew of hard to track down discs that dabble in Americana and especially country music. 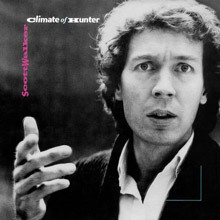 Having worn out his Waylon Jennings obsession, Scott will enter his so-called recluse years before returning in glory with Climate of Hunter (1984) his only album of the decade. In fact the Walker Brothers had reformed in the interim but Scott spent years working on Hunter, which we offer in re-mastered format. Its another gem thanks to the writing and sonic experimentation that flows through “Rawhide”, “Dealer” and the enigmatic pieces simply titled "Track Three", etc.. Specialists are brought in at all the right places so the guests include Mark Knopfler, Mark Isham, Ray Russell and Evan Parker with producer Peter Walsh (Simple Minds) putting a high gloss on events. A genius album. In terms of compilations a great place to start would be 5 Easy Pieces, five themed CDs with comprehensive booklet information, marvellous artwork and the heft of authentic artistic hands-on brilliance that makes this a commendable addition to the collection. Favourably, even ecstatically reviewed – for Scott has become an icon by now – this carefully wrought box is divided into tracks that evoke the kitchen sink/bed-sit drama of everyday life, the love songs that summon loss above all else, European and American sensibilities, movie songs and lavish display of Walker’s weirder stuff from “The Electrician” (the Brothers final single, 1978) and “The Plague” (a rare B-side) to “Sleepwalkers Woman”. This is a terrific opportunity to bask in Scott’s light and see what shadows he throws. Fully recommended. Other pockets are catered for too in our selection of anthologies. Try our other box set Scott Walker: The Collection 1967-1970 or track down the great Boy Child: The Best of 1967-1970, or the comprehensive Classics & Collectables and the ever useful Sings Jacques Brel. Given the fact Scott is currently working with the electronic psych wizards Sunn O))) on the Soused project interest in this remarkable character’s profile is bound to go through the roof any moment soon. If you know his stuff, all good and well. If you’d like to find him out for yourself then you are in for a huge and enjoyable surprise. Simply put: there is nobody else around like Mr Scott Walker…. Scott Walker's success as a teen idol singer of Spectorish ballads with the Walker Brothers in no way prepared listeners for the mordant, despairing lyrics of his solo debut. To compound the surprise, he does his best to imitate the vocal girth of Tony Bennett and Frank Sinatra on this mix of original tunes and covers, which also features sweeping, bloated orchestral arrangements. It was hardly rock, and pop of a most oddball sort, but it found a surprisingly large audience -- in Britain, anyway, where it reached the Top Three in 1967. Poke behind the velvet curtain of the languid MOR arrangements, and one finds a surprisingly literate existentialist at the helm of these proceedings. His lyrical nuances were probably lost on his audience of predominately teenage girls, though they've earned him a small cult audience that endures to this day. Besides presenting three of his own compositions, Walker covers tunes by Weill/Mann, Tim Hardin, and Andre & Dory Previn on this album, as well as three songs by his favorite writer, Jacques Brel. Highlights include his exquisitely anguished rendition of Brel's classic "Amsterdam" and his dramatic cover of the early-'60s Toni Fisher pop ballad "The Big Hurt." Walker dropped out of the British Top Ten with his fourth album, but the result was probably his finest '60s LP. While the tension between the bloated production and his introspective, ambitious lyrics remains, much of the over-the-top bombast of the orchestral arrangements has been reined in, leaving a relatively stripped-down approach that complements his songs rather than smothering them. This is the first Walker album to feature entirely original material, and his songwriting is more lucid and cutting. Several of the tracks stand among his finest. "The Seventh Seal," based upon the classic film by Ingmar Bergman, features remarkably ambitious (and relatively successful) lyrics set against a haunting Ennio Morricone-style arrangement. "The Old Man's Back Again" also echoes Morricone, and tackles no less ambitious a lyrical palette; "dedicated to the neo-Stalinist regime," the "old man" of this song was supposedly Josef Stalin. "Hero of the War" is also one of Walker's better vignettes, serenading his war hero with a cryptic mix of tribute and irony. Other songs show engaging folk, country, and soul influences that were largely buried on his previous solo albums. Although Walker's second album was his biggest commercial success, actually reaching number one in Britain, it was not his greatest artistic triumph. His taste remains eclectic, encompassing Bacharach/David, Tim Hardin, and of course his main man Jacques Brel (who is covered three times on this album). And his own songwriting efforts hold their own in this esteemed company. "The Girls From the Streets" and "Plastic Palace People" show an uncommonly ambitious lyricist cloaked behind the over-the-top, schmaltzy orchestral arrangements, one more interested in examining the seamy underside of glamour and romance than celebrating its glitter. The Brel tune "Next" must have lifted a few teenage mums' eyebrows with its not-so-hidden hints of homosexuality and abuse. Another Brel tune, "The Girl and the Dogs," is less controversial, but hardly less nasty in its jaded view of romance. Some of the material is not nearly as memorable, however, and the over the top show ballad production can get overbearing. The album included his first Top 20 U.K. hit, "Jackie." 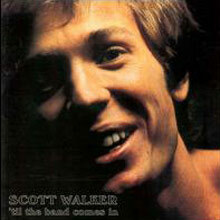 Scott Walker's final British Top Ten album was the first to be dominated by his own songwriting. Ten of the 13 tunes on this 1969 LP are originals; the remaining three, naturally, were written by one of his chief inspirations, Jacques Brel. There are some interesting moments here. "Big Louise" talks about a hefty prostitute with shocking explicitness for a pop star album of the era. "Copenhagen" (like much of Walker's '60s work) foreshadows David Bowie. "Funeral Tango" is a particularly vicious Brel song. "30 Century Man" is an uncommonly folkish and focused tune for Walker. "We Came Through" is an oddball cavalry charge featuring one of his occasional forays into Ennio Morricone spaghetti Western-like production. The tension between Walker's dense, foreboding lyrics and orchestral production is unusual, to say the least. But too often, it's too difficult to penetrate Walker's insights through Wally Scott's string-drenched production. It shrouds the lyrics in a fog that's often too syrupy to justify the effort needed to fight through it. Tilt was Scott Walker's first album following over a decade of silence, and whatever else he may have done during his exile, brightening his musical horizon was not on the agenda. Indescribably barren and unutterably bleak, Tilt is the wind that buffets the gothic cathedrals of everyone's favorite nightmares. The opening "Farmer in the City" sets the pace, a cinematic sweep that somehow maintains a melody beneath the unrelenting melodrama of Walker's most grotesque vocal ever. Seemingly undecided whether he's recording an opera or simply haunting one, Walker doesn't so much perform as project his lyrics, hurling them into the alternating maelstroms and moods that careen behind him. The effect is unsettling, to put it mildly. At the time of its release, reviews were undecided whether to praise or pillory Walker for making an album so utterly divorced from even the outer limits of rock reality, an indecision only compounded by its occasional (and bloody-mindedly deceptive) lurches towards modern sensibilities. "The Cockfighter" is underpinned by an intensity that is almost industrial in its range and raucousness, while "Bouncer See Bouncer" would have quite a catchy chorus if anybody else had gotten their hands on it. Here, however, it is highlighted by an Eno-esque esotericism and the chatter of tiny locusts. The crowning irony, however, is "The Patriot (A Single)," seven minutes of unrelenting funeral dirge over which Walker infuses even the most innocuous lyric ("I brought nylons from New York") with indescribable pain and suffering. Tilt is not an easy album to love; it's not even that easy to listen to. First impressions place it on a plateau somewhere between Nico's Marble Index and Lou Reed's Metal Machine Music -- before long, familiarity and the elitist chattering of so many well-heeled admirers rendered both albums mere forerunners to some future shift in mainstream taste. And maybe that is the fate awaiting Tilt, although one does wonder precisely what monsters could rise from soil so belligerently barren. Even Metal Machine Music could be whistled, after all. Walker's only album of the 1980s was both a blow for artistic credibility, and a blow against most of his old fans. The voice of the balladeer was still intact, and still even crooned sometimes. But the arrangements backed brow-furrowing, obtuse lyrics with '80s-oriented rock that incorporated some quasi-classical structures. Walker was seemingly more interested in painting abstracts in which the textures counted more than the content. This made for an album which may have been a hell of a lot more interesting than '80s efforts by other '60s pop stars, but at the same time it was rather impenetrable, and one's attention tended to drift off over the course of the set. Yet it was not half as radical as the avant-garde direction he would stake out with his next album ten years later, Tilt. Scott Walker's catalog has been reissued several times; therefore, yet another package, this one containing his four self-titled solo albums and 'Til the Band Comes In (sans any bonus material), might seem puzzling at first, or a cash-in at worst. 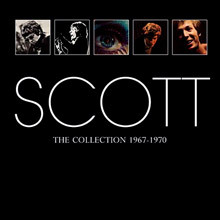 Indeed, this isn't even a truly chronological reissue: Scott Sings Songs from His TV Series was his actual fourth album, issued in 1969, between Scott 3 and Scott 4. The choice to include the uneven 'Til the Band Comes In, his sixth record -- and one of the first of his truly confounding releases from the '70s -- is interesting if not ideal. That said, it is not without merit as about half of it is wonderful. 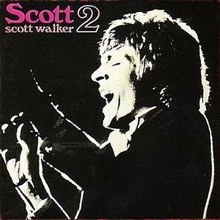 Even Walker's first two truly solo tracks, which appeared on the Solo John/Solo Scott EP (with fellow Walker Brothers member John Walker), from 1966 are absent. Yet there is a reason to recommend this box over any other reissues of this material. The previous CD masters and the American LP versions of Scott 1-4 have all been lacking in sonic quality. The warmth of the mid-range so abundant on the original LPs has always been absent, washed out in favor of highlighting dynamic range at top and bottom (the LPs were especially bad). Until now. The sound on these discs is warm, spacious, and sacrifices nothing in dynamism. Even the feel of the recording studios are captured. While almost no data on the transfers is available in the credits -- "Mastered at Abbey Road Studios" is it -- the audio difference is so striking it is easy to suggest that these remasters used the original analog tapes as their sources. In addition to four of the most mystifying, ambitious, and enduring albums in pop history (as well as one genuine head scratcher in 'Til the Band Comes In), there is a handsome 40-plus page booklet that contains photographs, interviews (all of them reprints, but it's nice to have them in one place), and a truly definitive, new historical and critical essay with detailed album-by-album analysis by Rob Young of The Wire. For any serious Walker fan who has purchased these titles before, Scott: The Collection 1967-1970 is well worth shelling out again. This is the standard by which all future reissues of his recordings will be judged. Marc Almond once noted that Scott Walker could sing "Three Blind Mice" and "make it sound like the only song in the world." While it's true that Walker transformed the most prosaic numbers into unique, dramatic experiences, that's not to say he chose material at random or simply allowed his magical voice to work inevitable wonders without having to try. Walker selected his cover material carefully and crafted masterful, knowing renditions. He achieved that rare balance that distinguishes the best interpreters of others' works -- preserving the essence of the original while making the song entirely his own. 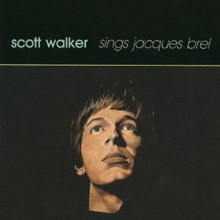 Nowhere is this clearer than on the nine Jacques Brel compositions that appeared on Walker's first three solo albums. All of those tracks are featured here. It's logical that Walker gravitated to Brel; the Belgian was a singer/songwriter after Walker's own heart who told psychologically incisive stories of unremarkable lives, raising the banal to the level of high drama -- or at least high camp. Like Brel, Walker brought a measure of romanticism to the mundane and set his poetic lyrics within arrangements that fleshed out the emotional range of his human comedies, much like miniature soundtracks. Working with Mort Shuman's accomplished translations (and one more schmaltzy version by Rod McKuen), Walker captures the spirit and the many moods of Brel's originals, from quiet pathos ("If You Go Away") to dark humor ("Funeral Tango") to exuberant cynicism ("Jackie") to unbridled euphoria ("Mathilde"), in the process infusing the songs with his own personality. Each of the nine tracks is a gem, but three stand out: the grandiose, swirling waltz of "Amsterdam"; the darkly powerful "My Death"; and the sardonic, angst-ridden "Next." Although these cover versions are perhaps best appreciated alongside Walker's own compositions on his original albums, they remain among the most compelling renderings of Brel's work in the English language. The 1990s rediscovery of Scott Walker, hitherto the Pop Star Who Time Forgot, was one of the most gratifying events of the mid-'90s. No man blessed with a voice like that, taste like that, talent like that, should ever have been consigned to the creaky oblivion of oldies radio. But one needs to tread carefully when plunging into the cult. Even at his best, and particularly at his most recent, Walker can be an excruciatingly difficult taste to acquire. Move into the early-'70s midpoint of his output, and oftentimes it's simply painful. Never regarded among Scott Walker's finest efforts and a resounding flop when it first appeared in 1971, 'Til the Band Comes In is, retrospectively, the most shocking of all the singer's early albums. His first four, after all, are dramatic slabs of MOR-noir, crucial experiences for anybody eager to discover Brel, Bergman, and a taste for truly surreal pop tones; by their standards alone, surely album number five should have traveled even further astray? It doesn't. 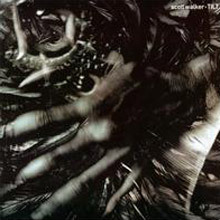 Two tracks culled for the It's Raining Today compilation, "Thanks for Chicago Mr. James" and "Joe," are this album's sole concessions to such matters as reputation. A year earlier, the BBC gave Walker his own TV series, with the assurance that he would concentrate his tonsils on ballads and standards. He fulfilled the brief admirably, and released a soundtrack album to prove it. Unfortunately, 'Til the Band Comes In suggests he never got the saccharine out of his system. He even brings TV guest Esther Ofarim back into the action, but morbid curiosity and an incomprehensible fondness for "Cinderella Rockefeller" are surely the only reasons anyone could want to check out her solo contribution to the set. There is a reasonable rendering of Jimmie Rodgers' "It's Over," aptly closing the album on a merciful note, but while Walker's first four albums remain essential listening, and the TV LP at least has its moments, Til the Band Comes In is best left waiting at the stage door. Some "lost classics" were lost with good reason.